Donald Trump's call to prevent Muslims coming to the United States has sparked anger in the Middle East. But his new Dubai golf course looks safe for now. Trump caused upset in the region last month when he made a series of anti-Muslim claims in the aftermath of the terrorist attacks in Paris. His controversial statement Monday demanding a "complete shutdown" on Muslims entering the U.S. provoked calls for a boycott by businesses. In response, influential Arabian Business magazine on Tuesday published an opinion titled: "Time for Gulf firms to review their links with the toxic Trump brand." Still, the latest remarks from the billionaire presidential candidate were not enough to make one of his biggest business partners in the Middle East ditch him. "We would like to stress that our agreement is with the Trump Organization as one of the premium golf course operators in the world and as such we would not comment further on Mr. Trump's personal or political agenda, nor comment on the internal American political debate scene," said Niall McLoughlin, senior vice president at DAMAC Properties, in a statement emailed to CNNMoney. 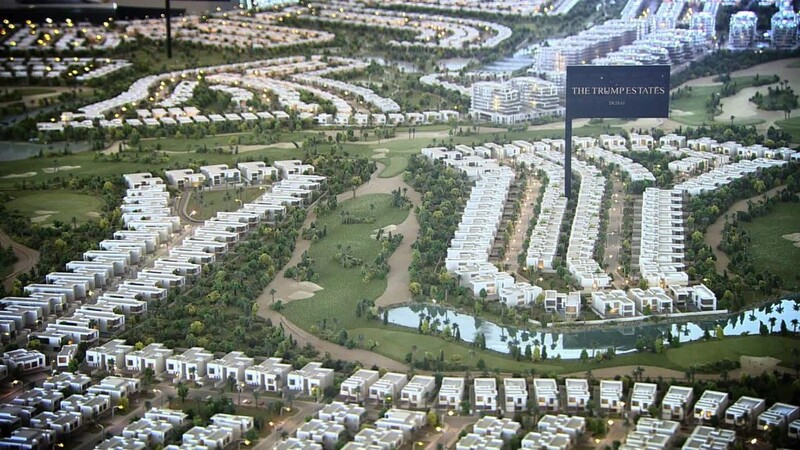 The resort includes a gated complex of 160 villas and is at the heart of a luxury DAMAC development on the outskirts of the city -- marketed as the "Beverly Hills of Dubai." Trump has declared the golf club as a source of income in his latest personal financial disclosure required of all presidential candidates. The 18-hole course was designed by Tiger Woods, and should be completed this year, according to the club's website. The villas should be ready to be occupied in June 2016. But at least one local businessman, Dubai-based billionaire Khalaf Al Habtoor, has already had enough of Trump's inflammatory comments, despite initially supporting him. "When strength is partnered with ignorance and deceit, it produces a toxic mix threatening the United States and our world," he wrote in an article for Dubai newspaper The National late last month. And social media users took to Twitter to call for a boycott of businesses with ties to Trump. 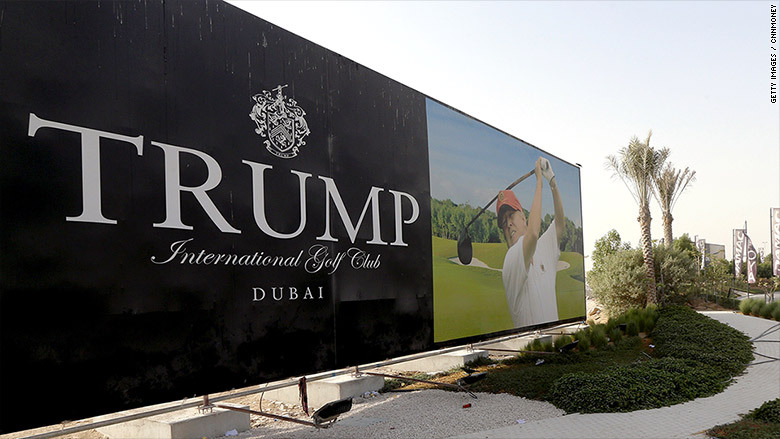 Can we get Trump's name off billboards and buildings in Dubai *now* please? -- Jim Boulden and Schams Elwazer contributed to this report.